After following this routine for a couple weeks, I came to learn that it’s actually the most harmful decision a student can make. My life was falling in front of my eyes. I found myself falling into an academic black hole, falling asleep in every class, and gaining weight faster than the amount of time it took me to get out of bed in the morning. 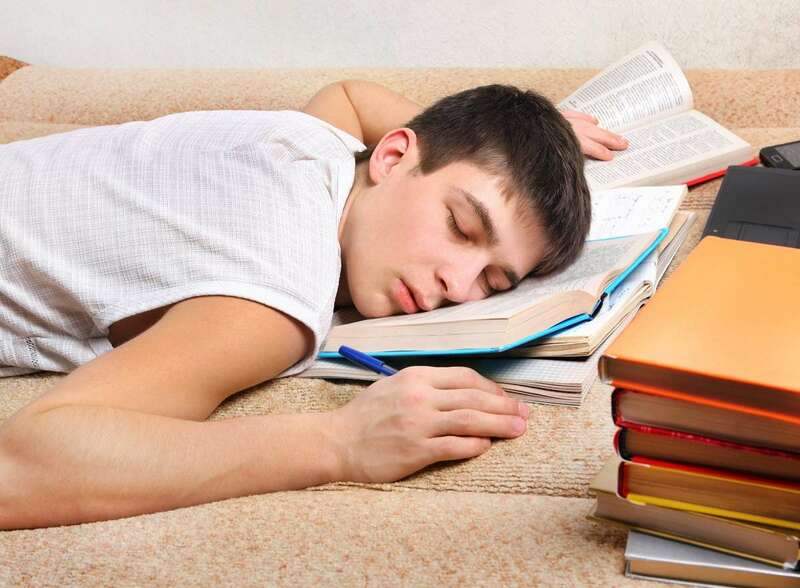 There are several reasons why sleep is essential for a successful academic day. According to Tim Battersby, one of the two HS counselors, “A minimum of 8 hours is essential for any student in high school. If this minimum is not met, there several reproductions such as loss of memory, constant tiredness, mood swing tendencies and poor concentration level.” All elements for having the worst day possible. Even with this information and statistics, I was not 100% convinced that my lack of sleep was the principal reason for my prior struggles at school. I had to be convinced. So that’s why I set up an experiment in which for three days, I slept for only four hours a night, to see if I experienced the anticipated side effects. Below is my personal blog detailing what I felt throughout the course of these three days in which I completed regular activities on four hours of sleep. The feeling of waking up after four hours of sleep is indescribable. It’s sort of like being hit by a truck. In fact, it took three alarms for me to even perceive where I was, let alone to get out of bed. The process of completing my morning routine such as going to the bathroom, eating and putting on my clothes was a massive blur. Nevertheless, in 30 minutes and a true wake up call from the coffee I consumed, I exited my house. The first two blocks at school were OK. I laughed at my friend’s jokes, I completed my work, and both listened and interpreted what the teachers were explaining. However, after 10am, I was hit by a truck again, this time one of those 5-ton mining ones. Third, 4th, and 5th blocks were a survival process, since almost every action such as writing two sentences or changing seats made me feel like I had just run a marathon. Once I got home and consumed a good lunch consisting of pasta and two Diet Cokes, I felt like all the side effects disappear. Of course, this radically changed when I got to the gym. 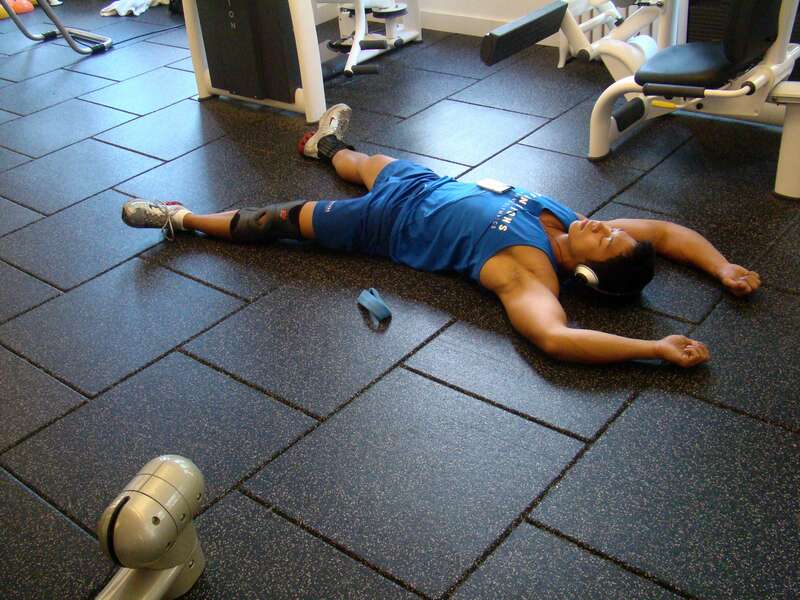 It took less than 30 seconds for my trainer to notice the black that had formed around my eyes, and they claimed that there was an apparent weakness in my physical abilities in the first half of the training until I consumed an energy drink. Later that afternoon, I finished all my 20-minute homework pieces in two hours and finished off the day watching six episodes of a TV show into my curfew of 2:30am. Most people wake up to the pleasant sound of birds chirping, lawn mowers, or are greeted by sunlight. However, the pleasantness of this specific morning disappeared faster than I turned off my alarm. I was exhausted. All I remember from the car trip was waking up in the school parking lot at 8:12. Math and Spanish were a 2-hour battle to fall asleep in the most creative ways and teachers calling out my name. At one point in Spanish, I remember trying to sleep on my left shoulder while the teacher was correcting a classmate’s paper 30 cm to my right. During recess, I slept in the science classroom as it was my next subject and was woken up by 12th graders entering the room. Oops, wrong classroom. However, the nap did wake me up and I did well for the remaining four hours of school. On the ride home I fell asleep, so when I arrived I felt decently awake and present. I decided to take advantage of this and do my assignments for the following day. These took three hours to complete, which is quite acceptable. However, I must comment on the fact that I simply could not remember anything from math the previous day. It was now around 6pm, so I decided to look at my TV show. It was all fine until 11 when this sudden temptation to sleep appeared and the next thing I knew, I woke up at 1am as a result of a phone call. What a close call! I continued watching the 8th episode of the day until my curfew. The feeling of waking up after four hours of sleep for the third time isn’t like getting hit by a truck, it’s a like being squashed by a bulldozer and then hit by one of those high-speed Japanese trains. Well, it was that and pure rage. Rage for this project, my alarm, the sunlight, the birds chirping outside and voices in the house. In fact, to be honest, right now, I can’t even remember anything from that morning, except waking up in the school parking lot, again. My first two blocks were a nightmare. I spent more time looking at the clock than listening to the teachers’ explanations or copying down work in my notebook. Furthermore, specific to the first two hours, I experienced this uncomfortable headache that didn’t feel like tiredness but pain. I knew something was wrong. So at recces, I made my way to the nurse to later find out I had a severe fever, excellent! The temptation to follow the nurse’s advice and get some rest in the bed available was really hard to resist. But then the motivation kicked in, the motivation that this was the last 100 minutes of the experiment. I had to pull through! This lasted for 30 minutes until I put my head down and fell asleep while I was writing this specific article in Journalism class. At least this nap prevented me from falling asleep during a crucial, in-class science assignment that still took a significant amount of time to complete. As soon as I arrived home, I consumed a pizza and headed to the gym. Obviously, my trainer commented yet again on my lack of physical abilities in the first five minutes. However, this time I restrained myself from consuming an energy drink, at least for the first 40 minutes. One may ask, why? Well, basically I couldn’t fulfill half of my normal physical potential and my endurance level was dropping. Push-ups and sit-ups were not exhausting but simply a pain. I realized I couldn’t put to waste a whole week of essential exercise. Once I got home, I instantly felt a wave of anger sweep over me. I felt like arguing with anyone and everyone; it was truly a never-experienced moment for me. Anyway, I decided to do my homework as I still had some energy from the previously consumed energy drink. This went surprisingly well for the first 30 minutes, until I put my head on the desk for half a second and suddenly woke up at 12am. Normally, I would rage at the thought of having missed the opportunity to watch a TV show and unwind. But, at this moment, it was pure relief–relief from having finally finished the life-consuming experiment.